2 by 3 Heroes: BARNEY'd! As I have mentioned, by desk is at the front of my house. To my immediate right is window that looks out on the street and my mailbox is in plain view. 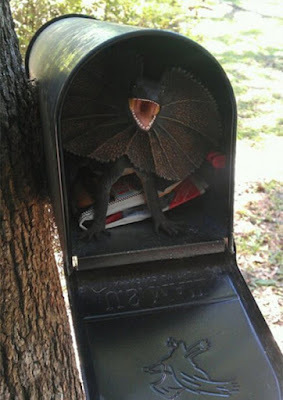 I can see the postal worker drive up to the mailboz and slide in any mail addressed to my home. Even while I am working, I can steal a glance to my right and see what's going in the box, giving me an idea what I may be pulling out when I take the trek to the street. Basically, if one of you sent me something in a manila package, I can see it leaving the driver's hand. If it's a PWE, it's a surprise when I open the box. I ATE THE FREE SAMPLE OF CHEERIOS! That's not to say I'm still not surprised. For the second time, I saw the mail carrier slide in a purple package. It took me until I retrieved it from the mailbox that I remembered this is the 2nd shiny purple mailer I have received from Weston at the awesome Fantastic Catch. Yeah, the mailer is that bright when the light hits it. You can see the two team bags Weston sent over, And boy did he load them up with binder additions. 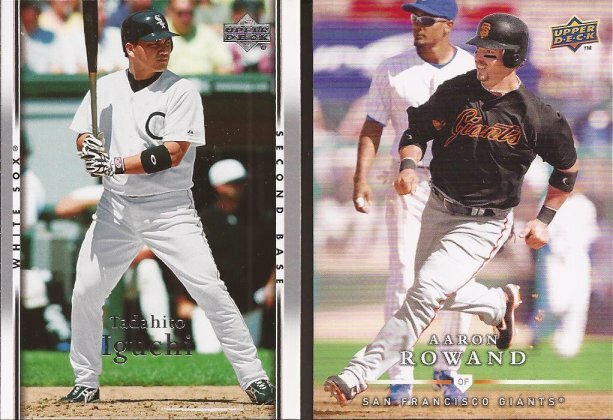 Two new cards for the player collections for Iguchi and Rowand. The Iguchi was in my Zistle list, but as a throwback binder entry - it went in before I started the player collection. It was one of the cards in my collection that bugged me, because it was in two different custom collections online. Now, that is fixed. 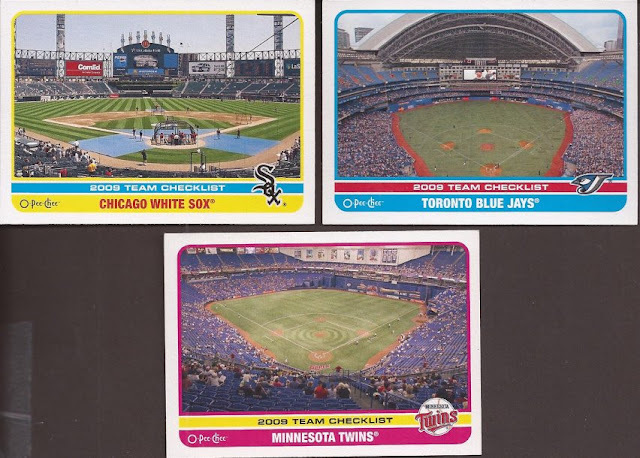 Three cards off the 2009 OPC team checklists. 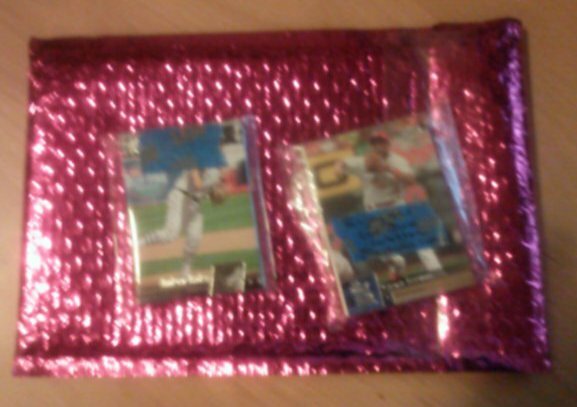 When I pulled the Sox card, I was certain I must have screwed up my want list, or Weston misread it. Nope - it was needed. The custom collections is where Weston really knocked it out. Seven new bunting cards were added as well as a couple double play cards. 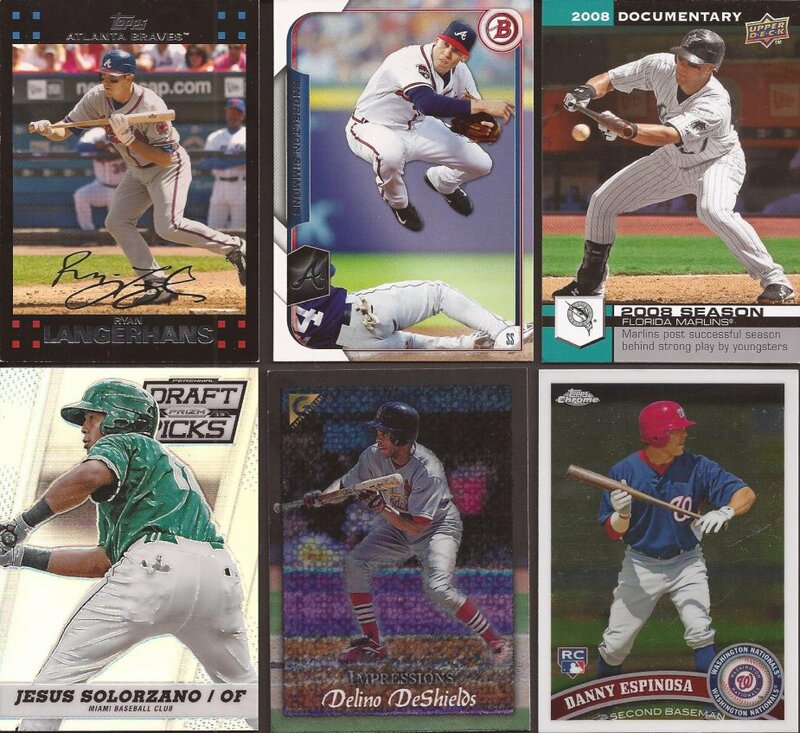 Jesus at the bottom left is a refractor, or whatever the hell Prizm calls them. Weston also included 33 throwback cards, of which 11 are new additions to the binder. And so much wonderful cardboard. I keep forgetting about Rizzo's top from the Cubs 100th anniversary uniforms. So much 70's in the rest of the cards. And if Oakland doesn't bring back those old Philly A's throwback, I will stop cheering for them. Wait - I am being told I have never cheered for the A's. How about that? Weston, I appreciate and praise the purple packaged postal parcel. Glad you liked the cards so much. I'll have another out to you before you know it. I also forget that particular Rizzo is a throwback, mostly because it's hard for me to process that the mid-90's are long enough ago to throwback to. My how time flies! 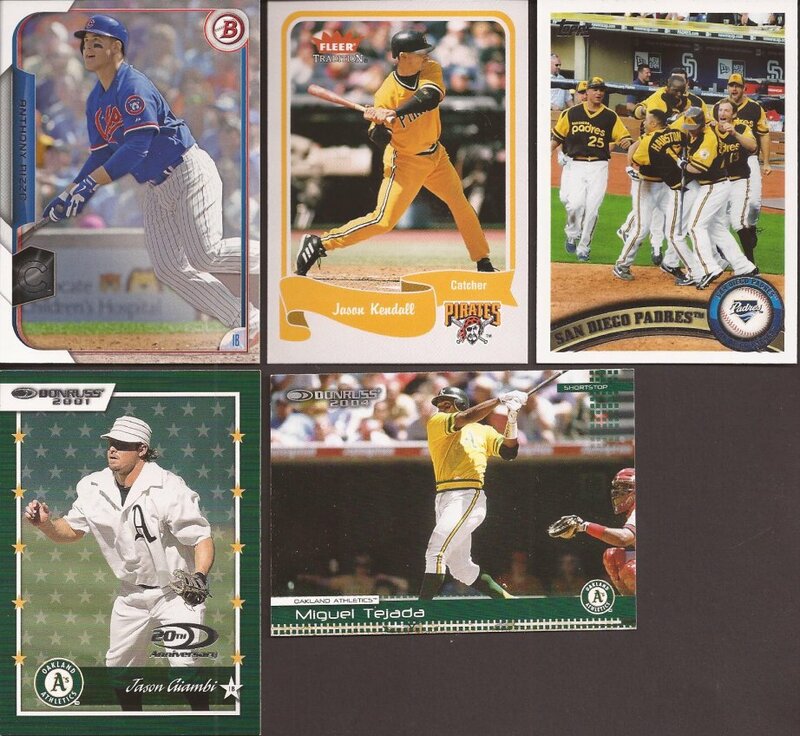 I love that Fleer Kendall card! Those 2009 OPC team checklists are gorgeous!